Bela Lugosi has always been one of my favorite actors. The master of the macabre sent shivers down my spine in such classics as DRACULA, WHITE ZOMBIE, and THE RAVEN. But by the 1940s, morphine addicted and desperate for work, Lugosi took acting jobs wherever he could find them. He always gave his best in whatever he did, even in low budget nonsense like THE DEVIL BAT (a personal favorite of mine). In fact, if it wasn’t for Lugosi’s presence, most of these films wouldn’t be worth watching today. ZOMBIES ON BROADWAY is one of them. Wally Brown and Alan Carney were thrown together as RKO’s answer to Abbott & Costello. The two vaudeville veterans have no chemistry between them whatsoever. Yet the studio continued to team them in a series of Grade B comedies. ZOMBIES ON BROADWAY was their next to last together and if it wasn’t for Bela, there’d be no reason to waste an hour and a quarter of your time on it. Press agents Jerry Miles and Mike Strager (Brown & Carney) promise ex-gangster Ace Miller (Sheldon Leonard) they’ll provide “a real life zombie” for the opening of his new nightclub, The Zombie Hut. When a crusading radio personality discovers it’s a ringer, Ace tells the boys they must find a real one…or else! 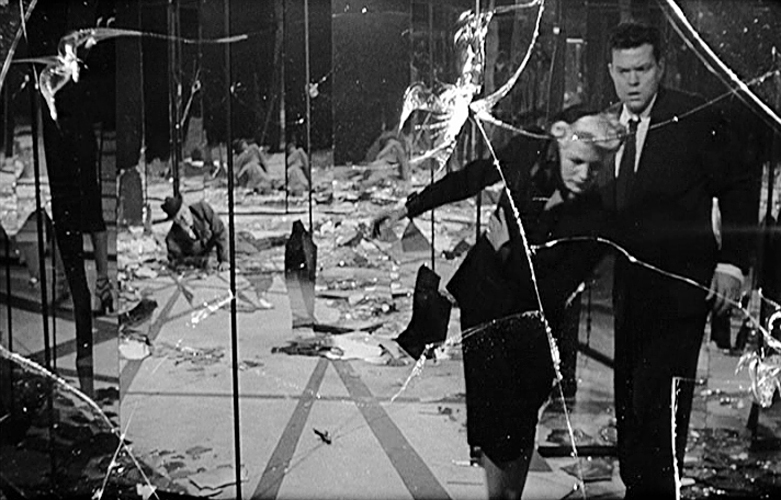 Traveling to the island of San Sebastian to search for zombie expert Dr. Renault (Lugosi), Miles and Strager meet nightclub singer Jean (Anne Jeffreys). She agrees to help the two dolts in exchange for getting her off the island. Meanwhile, sinister Dr, Renault is experimenting with a new drug to scientifically recreate zombies. He sends the zombie Kolaga to kidnap Jean with he intention of turning her into a zombie. The boys, accompanied by a monkey, stumble onto Renault’s castle. Madcap hijinks ensue! Eventually, Renault is killed by his own zombie, and Jerry, Jean, and the monkey, with a now zombified Mike in tow, return to the good old USA. Back at The Zombie Hut, Mike’s zombified state wears off when he sees a pretty chorus girl. The now enraged Ace threatens to rub them out, but Jean turns off the lights and the monkey injects Ace with the zombie serum. Ace is now the club’s main attraction, and the boys are out of a jam. And that’s basically it. 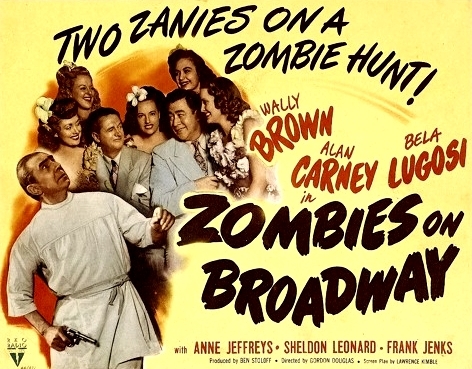 The dialogue and gags are dreadfully unfunny, including some rather racist humor that was outdated in 1945. 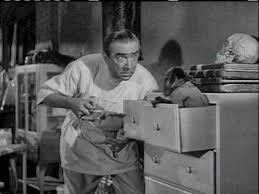 The only truly funny scene involves Lugosi, the monkey, and a chest of drawers reminiscent of the Three Stooges. Even a good supporting cast (Leonard, Ian Wolfe, Frank Jenks) can’t save this one. The team of Brown and Carney have rightfully faded into obscurity. Bela Lugosi continues to endure as one of Hollywood’s most popular horror icons. If you’re a Lugosi completest like me, watch the movie to see the master at work. If not, do yourself a favor. Change the channel.